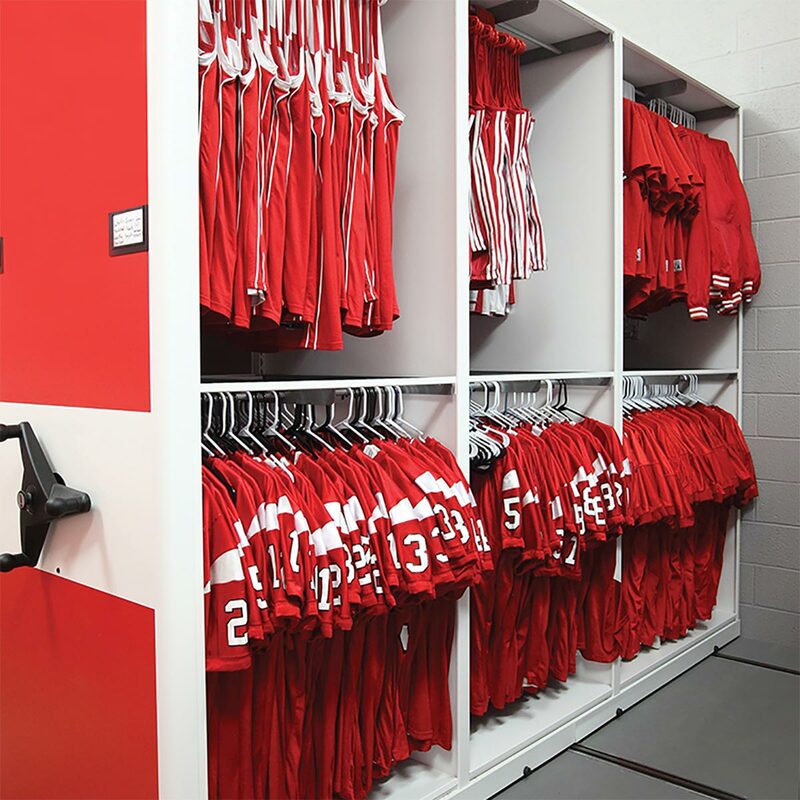 VitalValt offers a broad range of high-density mobile and stationary shelving products that can be customized to suit your sport or athletic activity. 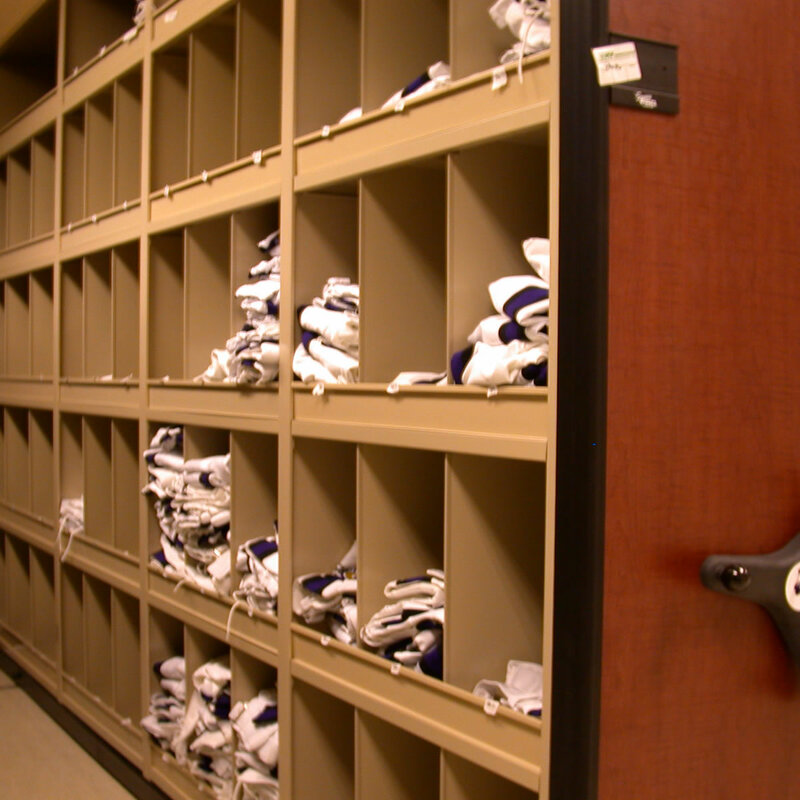 Tailor and adjust our versatile systems to store and rack a full line-up of equipment and materials, for all kinds of athletic facilities. 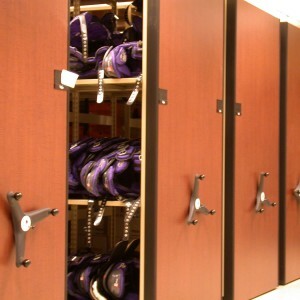 VitalValt has fixed and movable shelving products equipped to handle multi-sport applications. 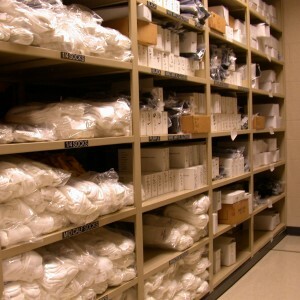 From professional hockey, basketball, football, baseball and soccer franchises to sports teams at high schools, colleges and universities to golf courses, ski resorts, athletic clubs and Olympic teams, we have efficient storage solutions that will optimize the use of your space and upgrade the organization of your gear, uniforms, shoes and beyond, while also giving you room to expand in future. 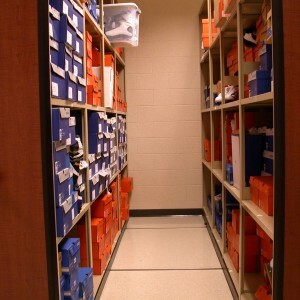 From large rolling carriages to compact cabinets, the bottom line is that VitalValt offers the best storage systems in the field. 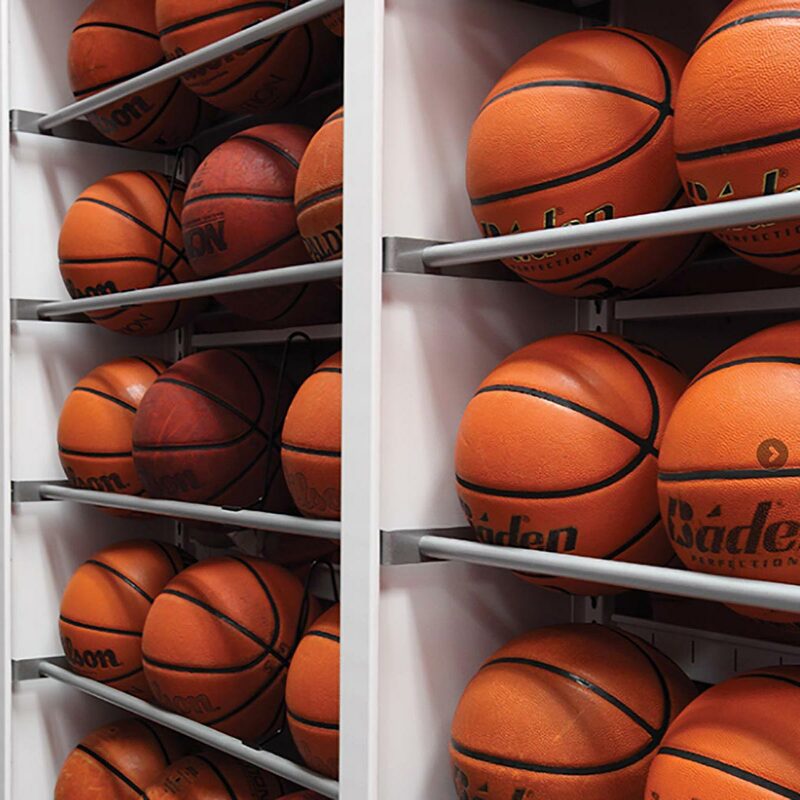 Whether you’re aiming for a grand slam, a hole-in-one or a knock-out blow, we can help you in your pursuit of sporting and athletic excellence by ensuring optimal racking and storage of equipment and material. 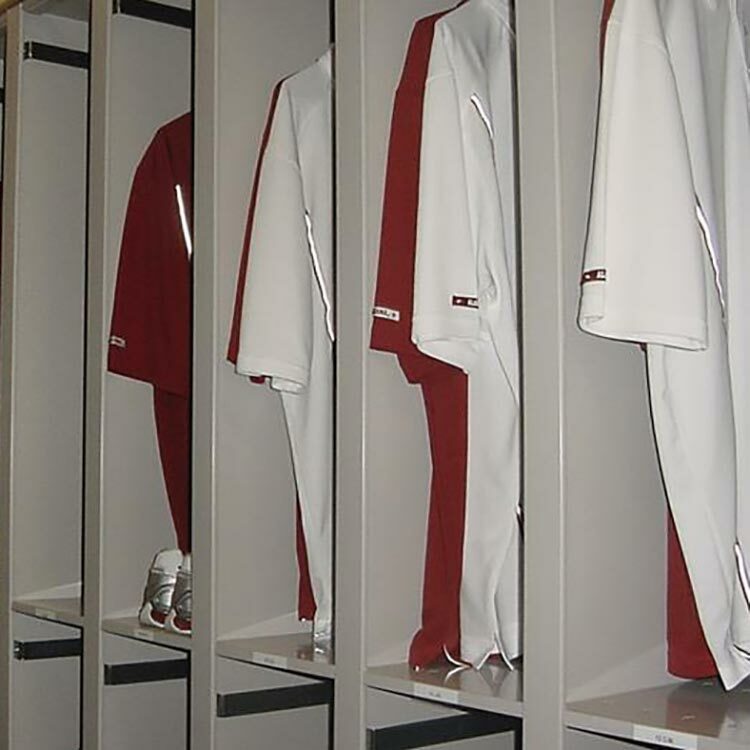 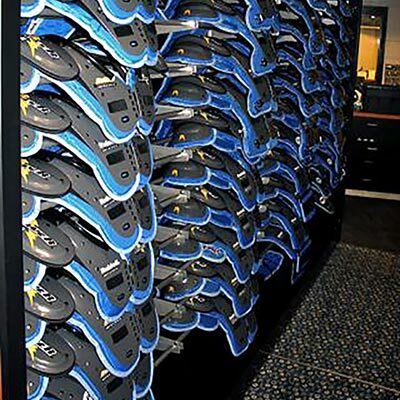 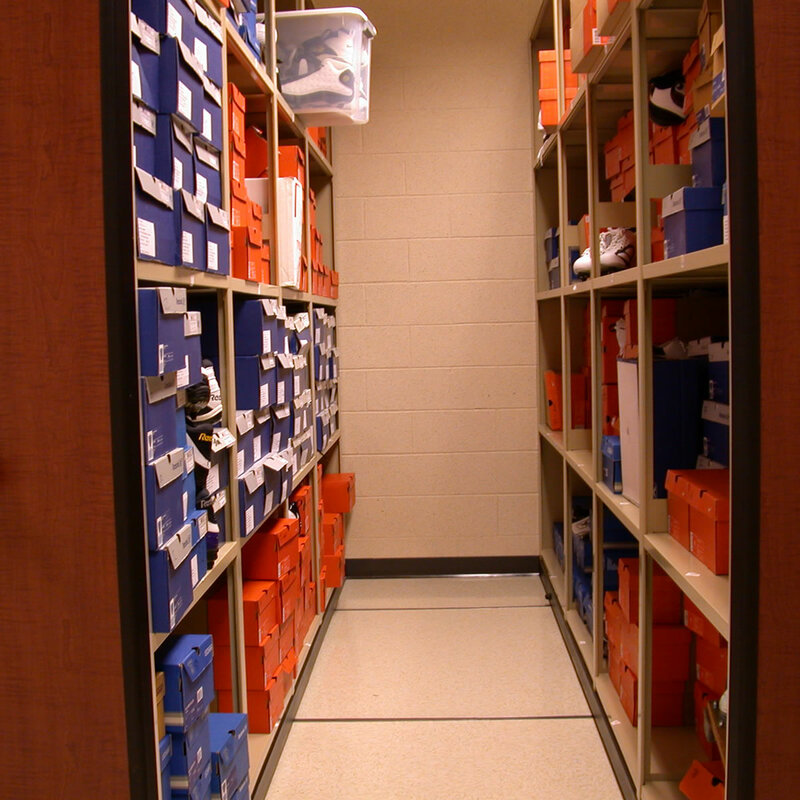 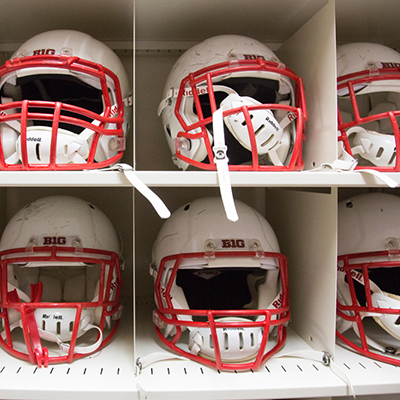 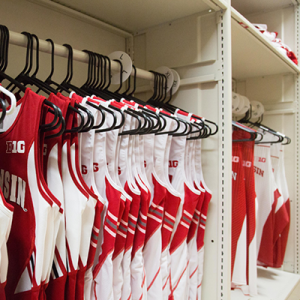 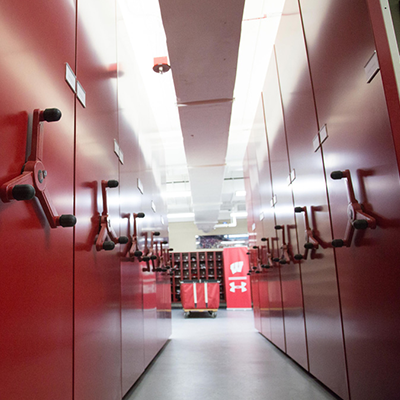 All Athletic Departments, from High Schools to the Professionals struggle with finding space to store equipment. 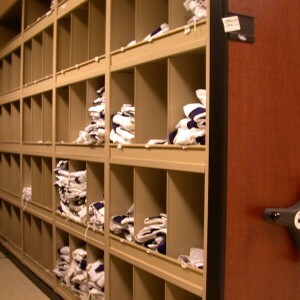 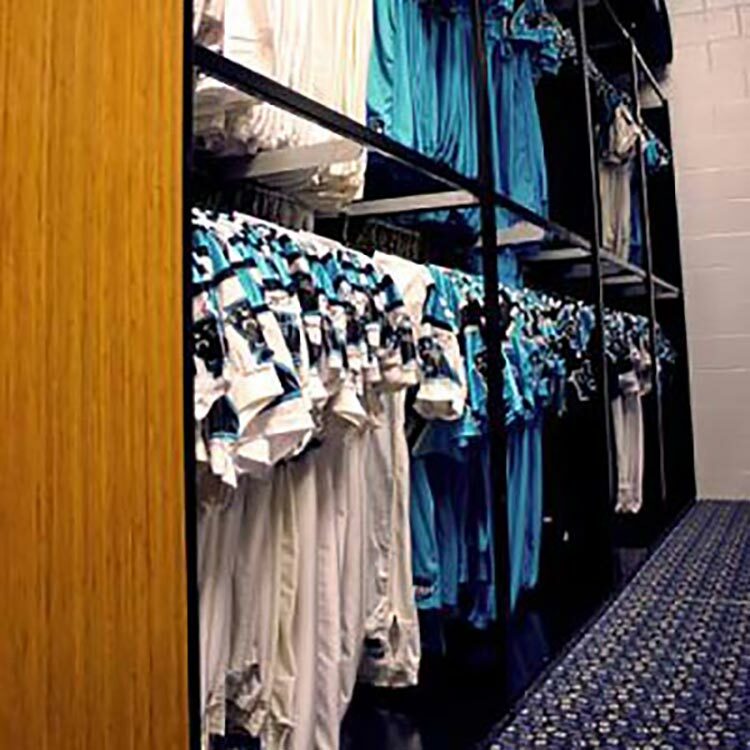 From bulky shoulder pads and helmets to shoes and uniforms – VitalValt will provide a unique game plan for any situation.